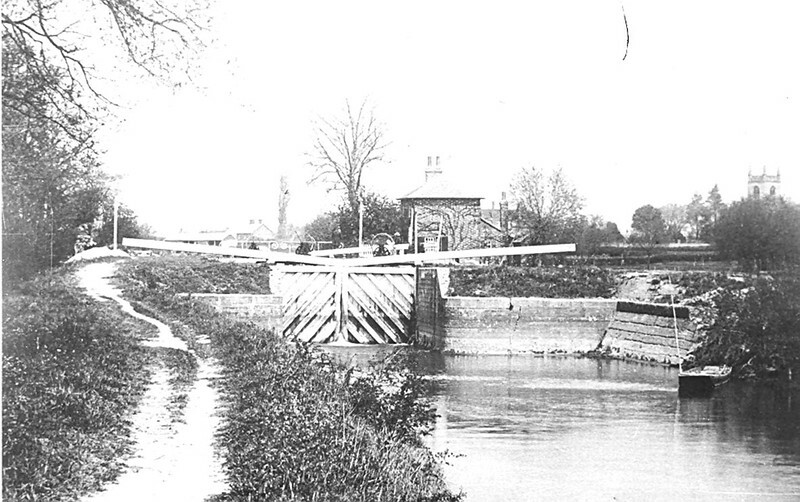 - Lock Island and Weir - (BS0399) A very old picture pre-dating the re-building of the Lock Keepers house in 19?? 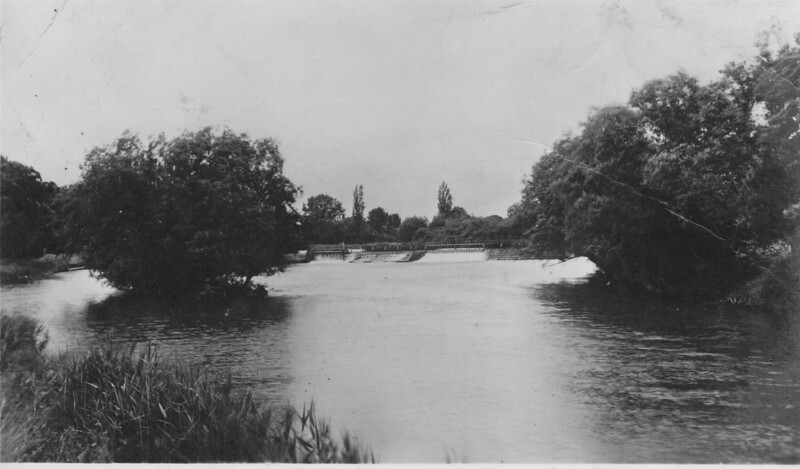 - Lock Island and Weir - (BS0400) Probably the oldest photo of the lock. 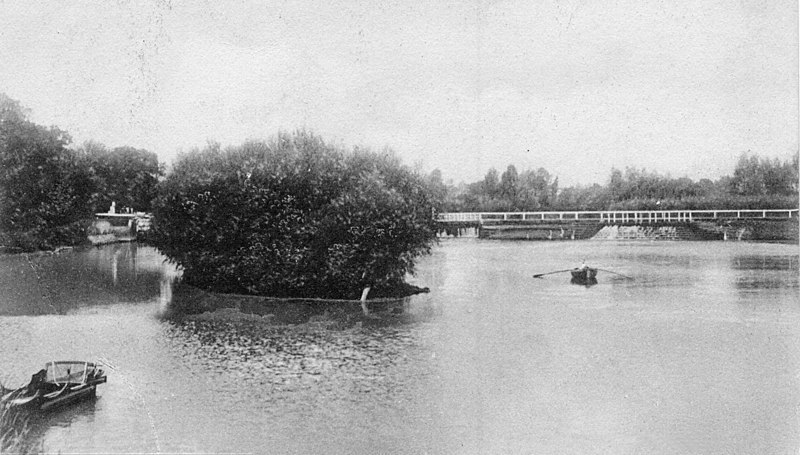 Possibly pre-1900. 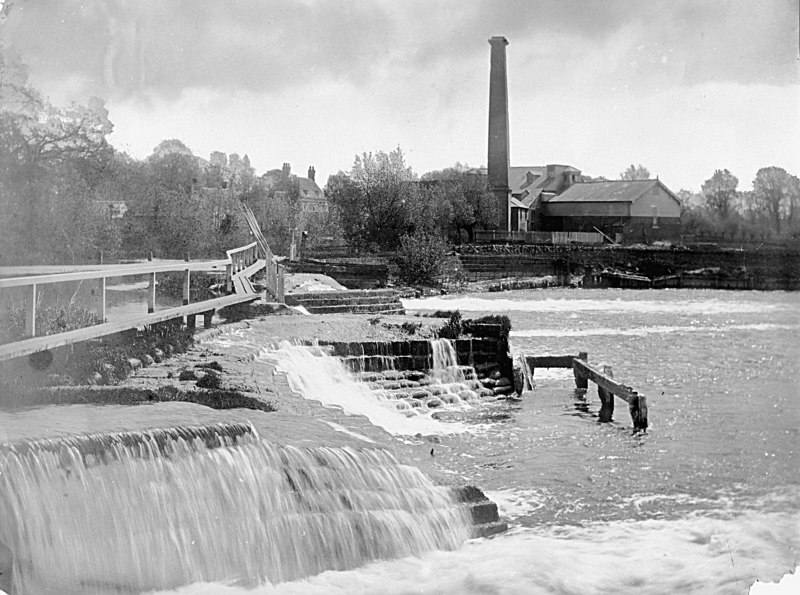 The coal wharf in the distance is recognizable, but what is the 2 storey house? A complete mystery! 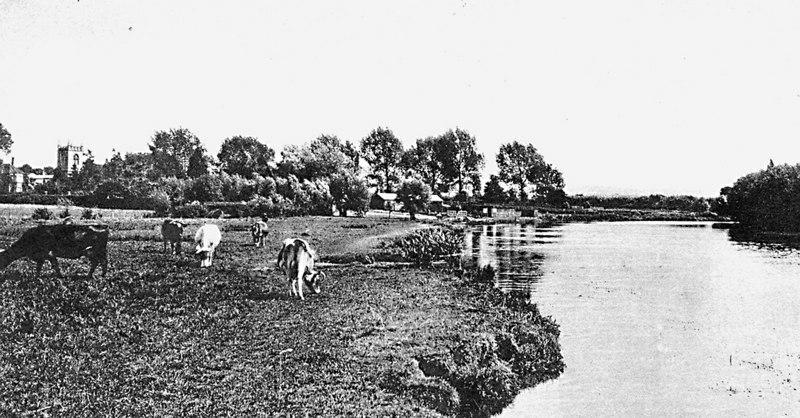 - Water meadow and Steamer - (BS0401) The water meadow before being covered with silt. 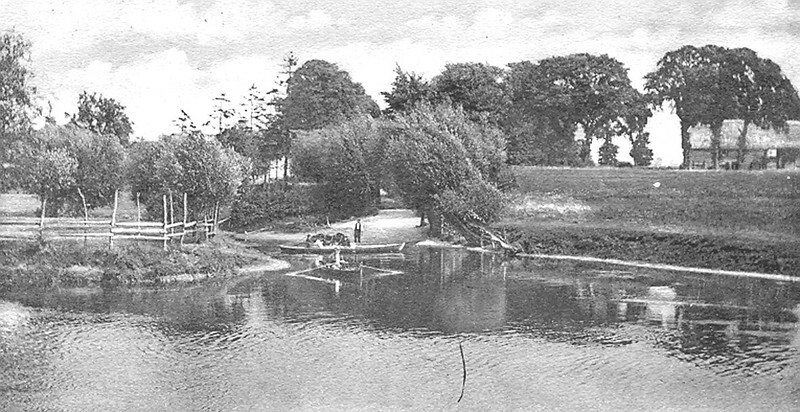 The bridge crossed the creek which was later filled in and replaced by the present slipway. 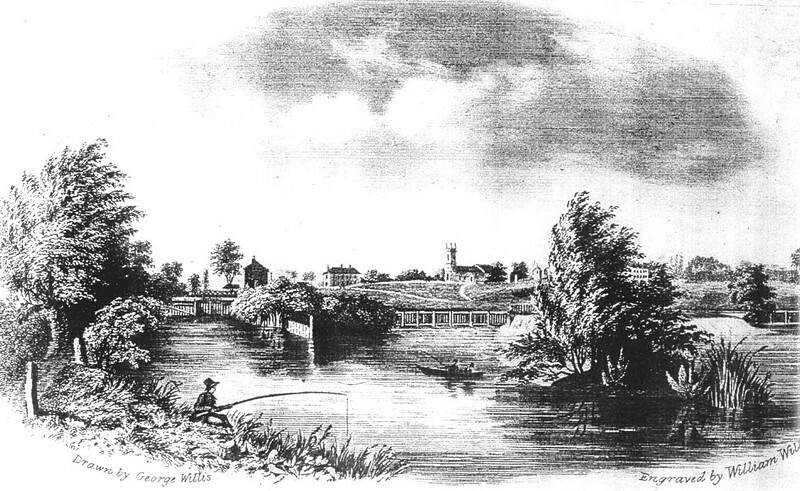 - View of St Helen's Church and the River - (BS0464) A print from an engraving by William Willis c1830. 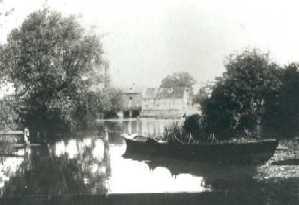 - Benson Ferry - (BS0349) The Ferry embarkation point was from the bottom of the garden of Ferry Cottage in Preston Crowmarsh. 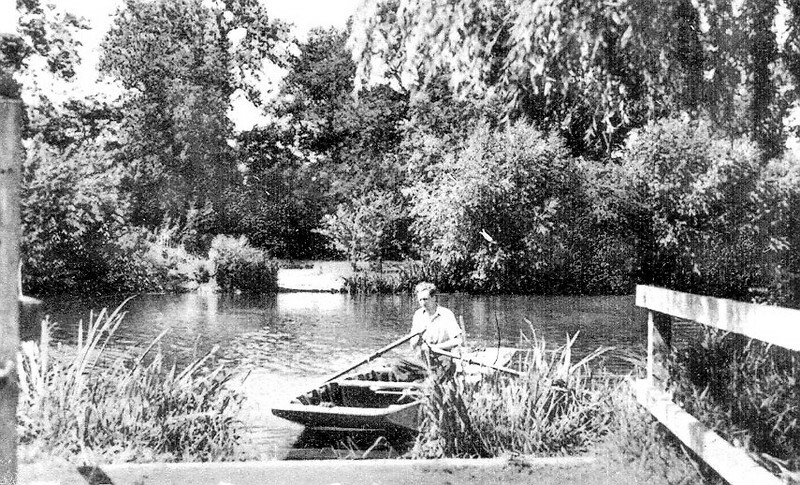 The lady in the punt is Doris Brown neé Green. 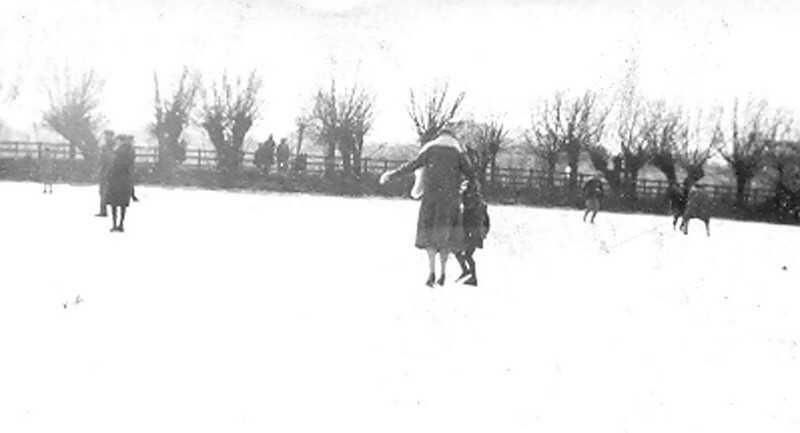 She was Shirley Rust's grandmother and lived in ferry cottage. 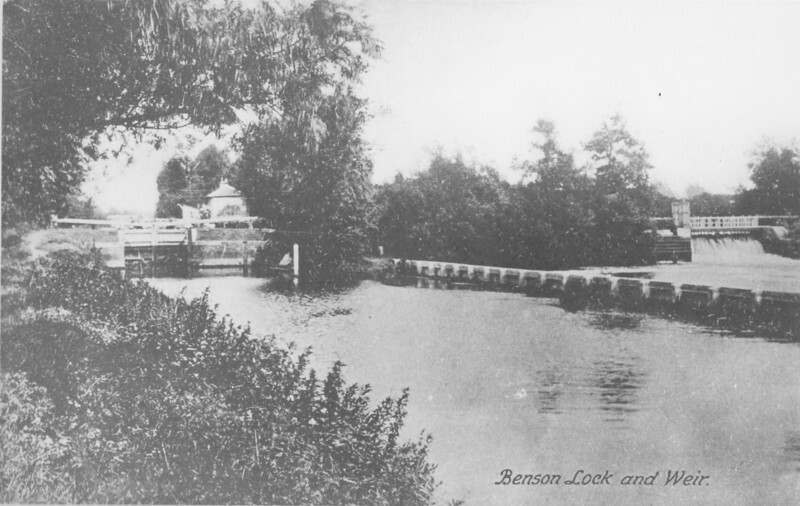 - Benson weir in the 1890s - (BS0403) One of the earliest views of Benson Lock, thought to be late XIXth Century. 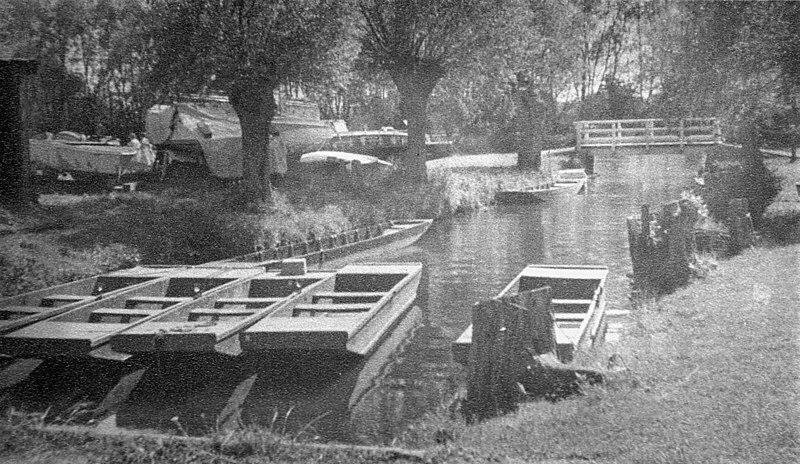 - Benson Ferry (c1953) - (BS0495) The lock-keeper casts off from what is nowadays the "public footpath that leads nowhere", located between the modern houses about 100m south of where Benson Brook enters the Thames..
- Preston Crowmarsh Mill - (BS0584) The Mill now enjoys a tranquil life as a private house. 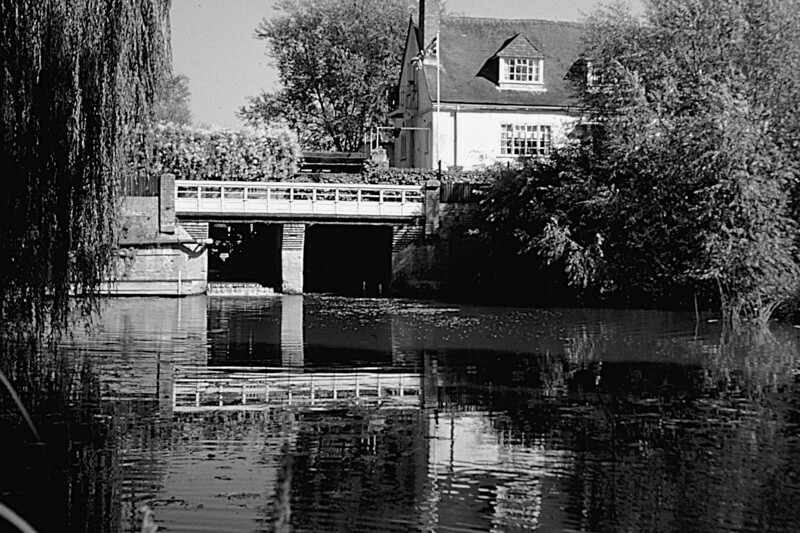 It is pictured here in August 1961. 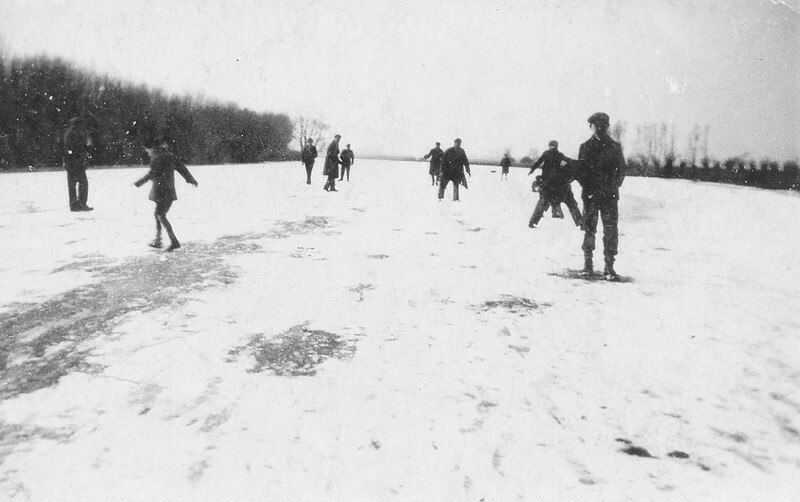 - The frozen Thames in 1926 - (BS0659) Alf Gurney remembers riding his bike, with his pals, up to Shillingford Bridge to have their photo taken. 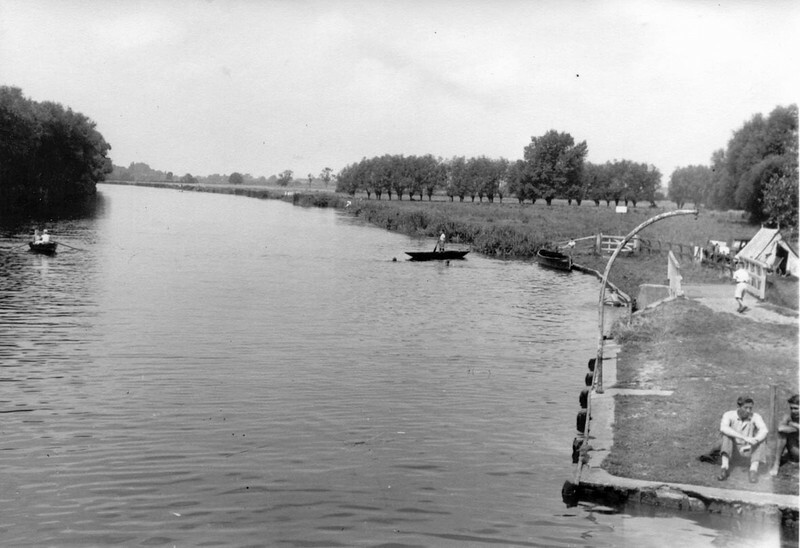 - Thames Water Meadow - (BS0951) A view looking upstream from the top of the diving platform, taken in 1950. 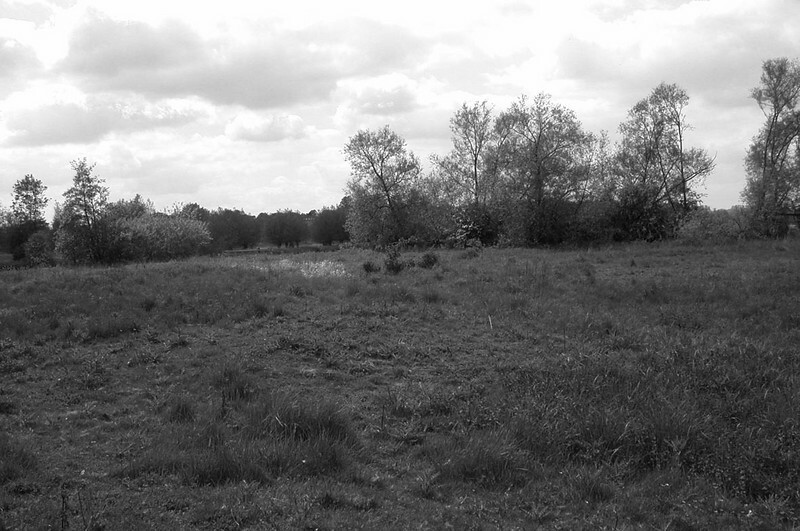 This is the last record we have of the first of Benson's precious water meadows to be lost to commercial developers. 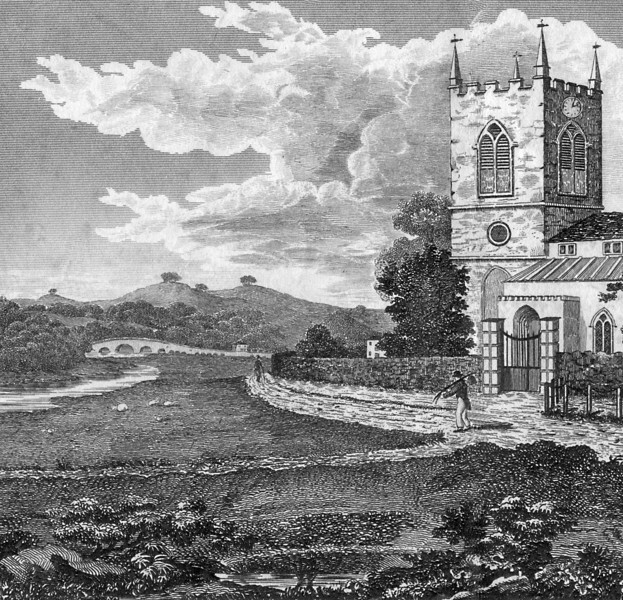 - St Helen's Church and Thames - (BS1123) A detail from an 1830 view of the Thames and St. Helen's Church by William Willis. 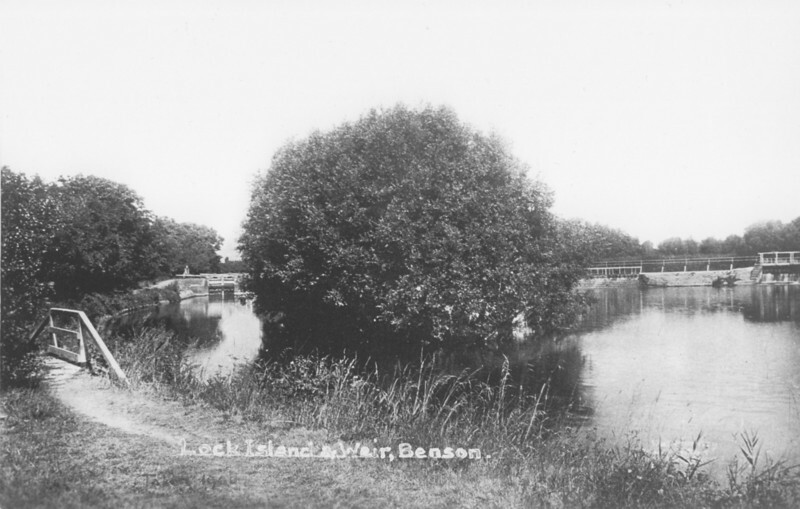 Note the wide marshy banks gently sloping to the water's edge. 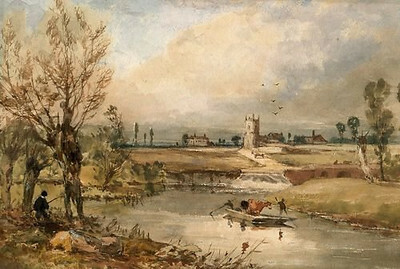 - Painting of river and village c1850-1860 (BS1359) Sadly, we don’t know who the artist was, and one can of course never know quite where “artist’s licence” plays a part. Nevertheless there is a lot in it of interest. 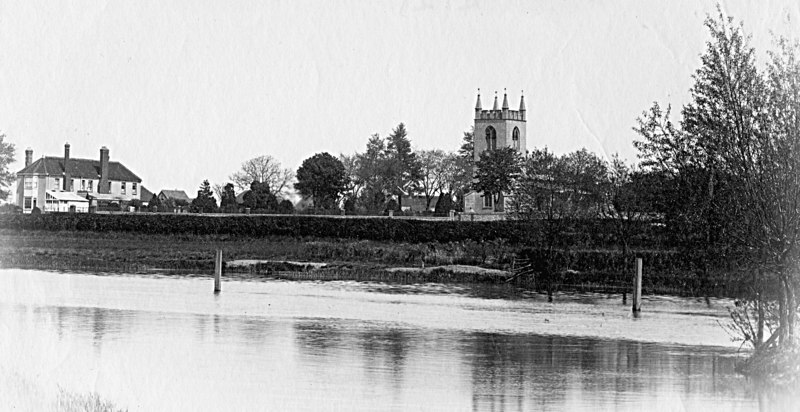 First, the large house to the left of St Helen’s tower is in Churchfield Lane and was known in the 1880s as Churchgreen Villa. 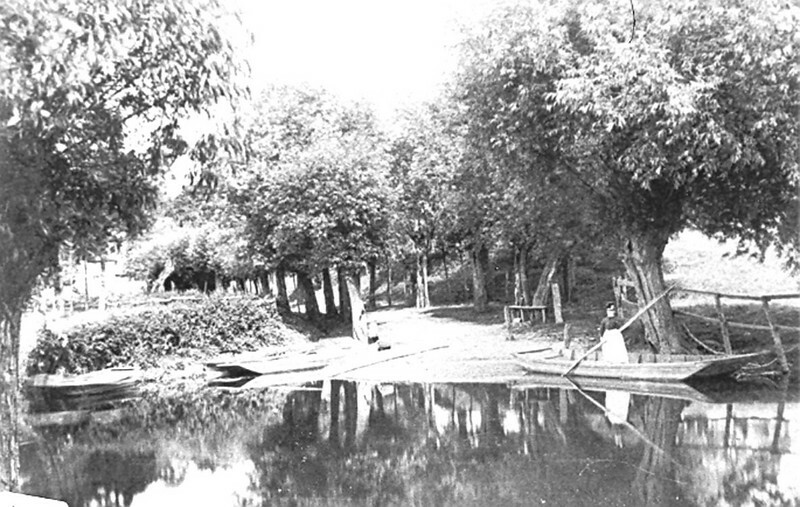 Although now hidden behind tall conifers and houses, we know from old photos that it was clearly visible throughout the 19th century, and had been at some time the Vicarage. Geoffrey Harcourt, currently living in the “Old Vicarage”, takes up the story. “In the 1870s [my] house was built on the site of an earlier Vicarage, using as much of the old materials as possible. The then Vicar complained about the previous Vicarage as being too low lying, damp and there was nowhere for the poor to sit. The latter explains why we have a porch with stone seats”. 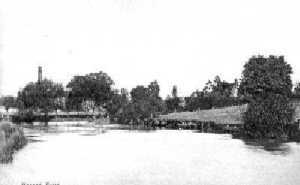 Which brings us again to the buildings to the right of the tower. The Nave of the church seems clear, then I suspect the large house immediately to the right is “The Limes”. 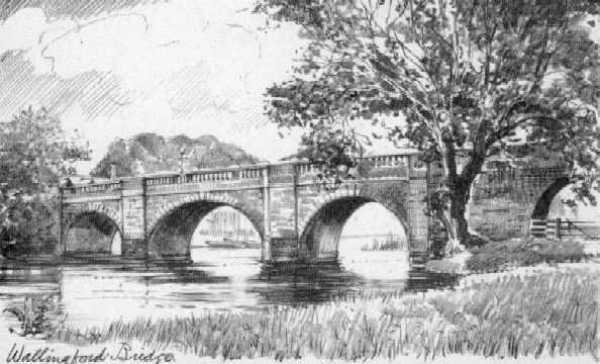 That is similar to the house in Churchfield Lane in that it was clearly visible in those days, and not lost behind large chestnut trees and other houses, as today. Right again, must be the “low lying” vicarage referred to above, as Geoff’s house was not built until the 1870s. 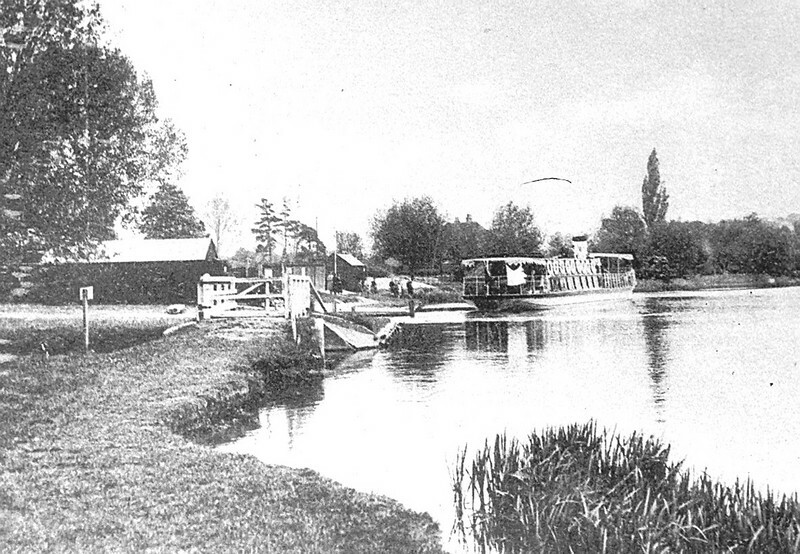 The white large rectangular building is clearly the former White Hart Hotel, whose frontage is much as it is today. The large building finally to the right may be No1 Birmingham Yard. 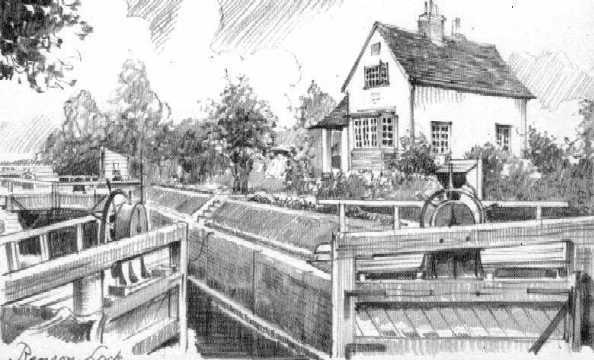 The horse and cattle ferry boat is about right, making its way to Ferry Cottage in Preston Crowmarsh. Likewise the road leading from the Church tower on which some farm wagon is travelling leads down to Preston Crowmarsh. 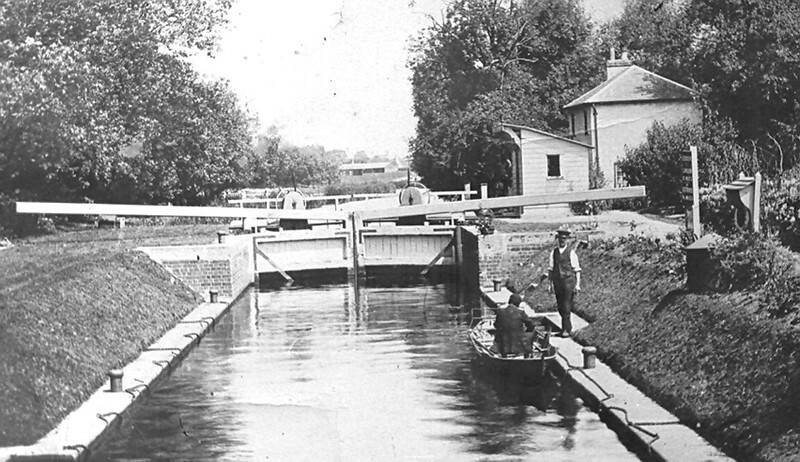 No village by-passes in those days! 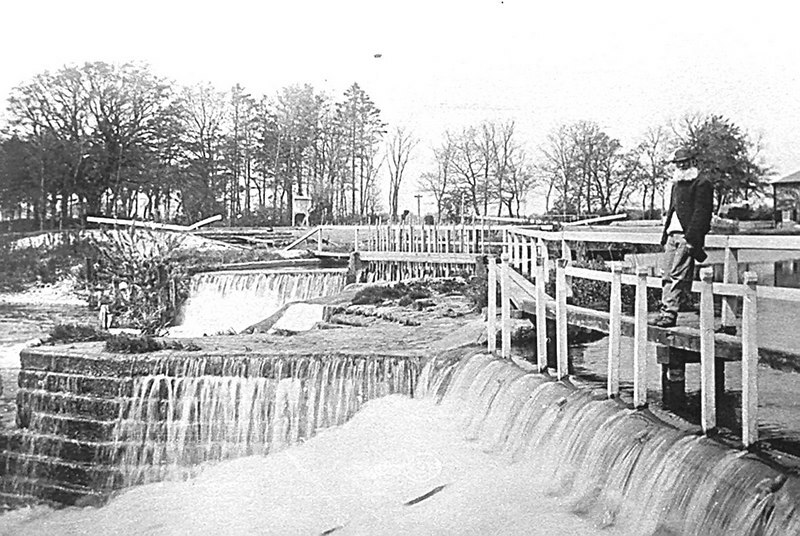 The double arch bridge to the right of the main weir flow would appear to be the top end of the mill stream. 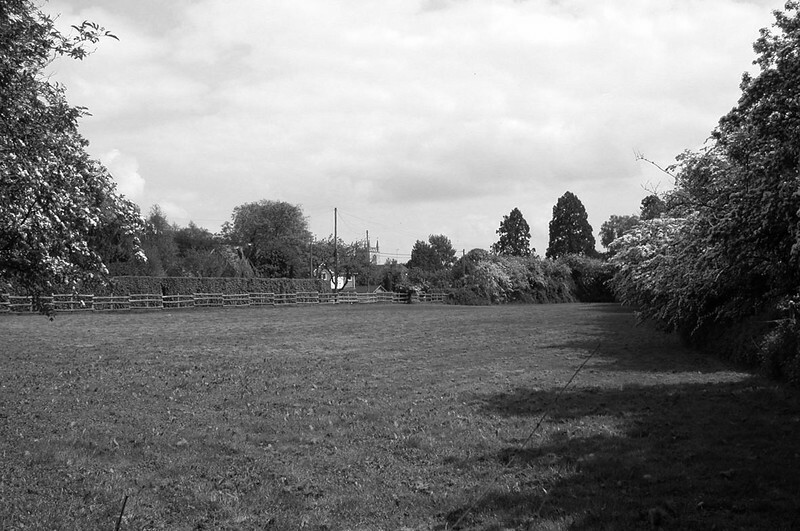 A final word on trees, the three large poplars in the far distance to the left of Churchgreen Villa were indeed in existence, certainly until the 1950s, when they were gradually felled as they became a hazard. We have a picture of two little girls sitting on the tree stump of what had obviously been a very large lime tree in 1927, giving the name to “The Limes”. It may be one of the trees just visible in that area. There is no evidence of the sequoia trees so much part of the landscape opposite the Marina today. 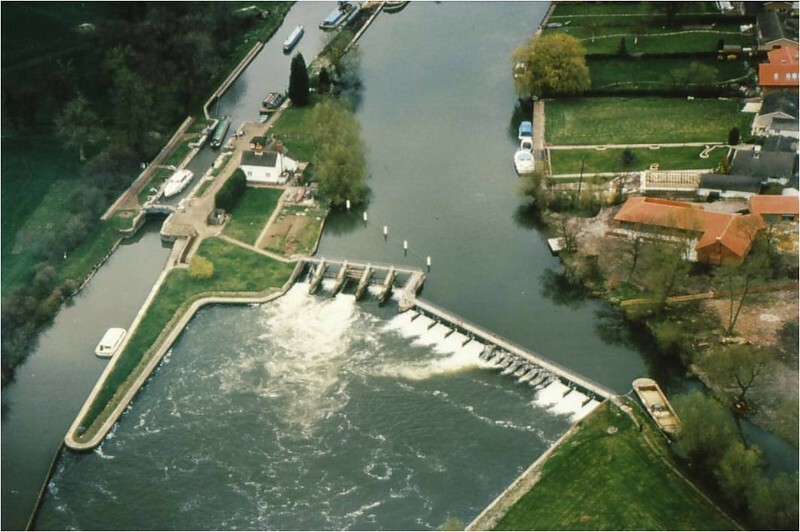 They were discovered in 1852 so were not planted in the UK until the late 19th century.